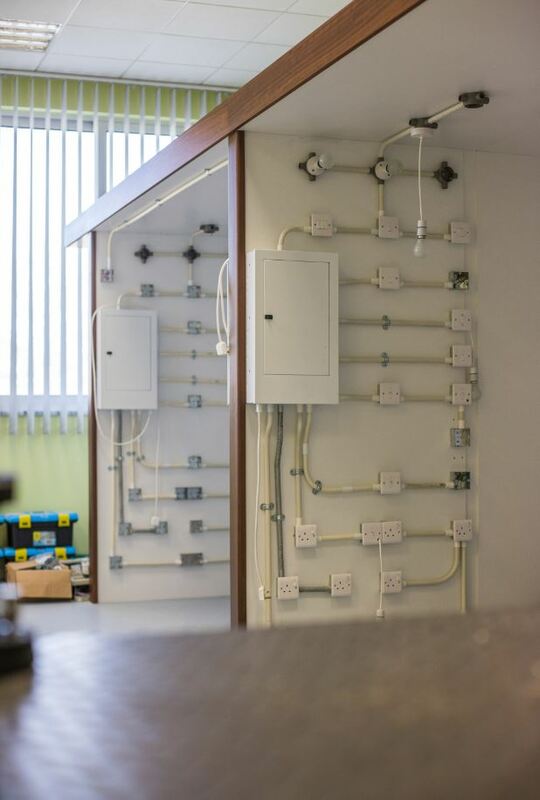 Engineering Laboratories support the BEng (Hons) Electrical & Electronic Engineering Programme. 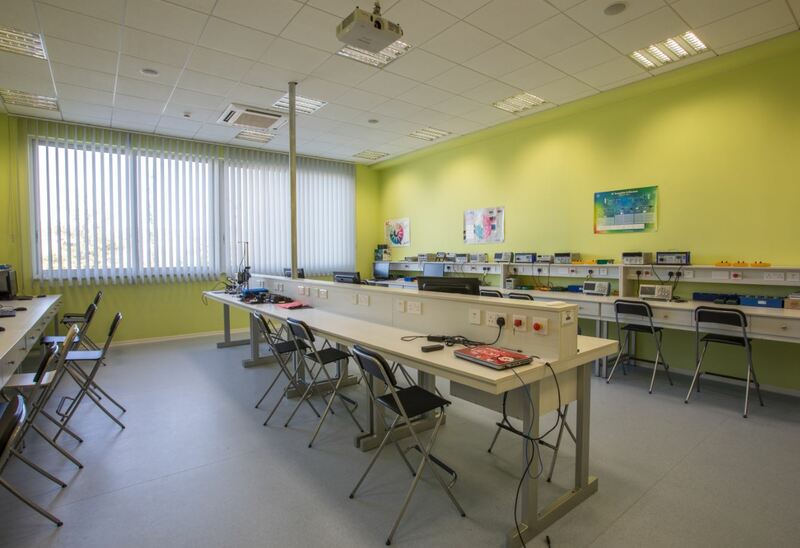 The Electronic Engineering lab is equipped with workbenches and all the necessary state of the art equipment (oscilloscopes, signal generators, probes, analysers, etc. 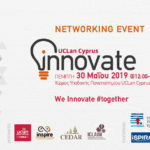 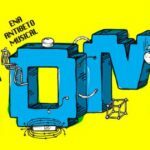 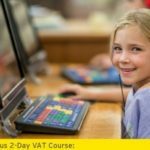 ), computers and machinery for students to practice in Electronic Circuits, Digital Electronics, Telecommunications, Microprocessors, Sensors, Programmable Logic, Robotics etc. 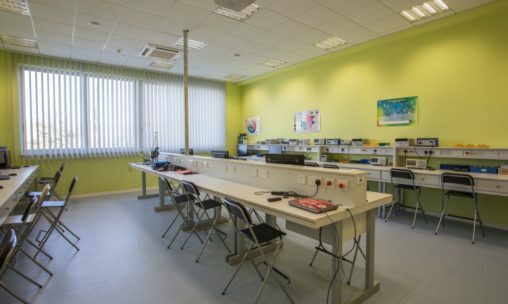 The laboratory offers a unique hands-on experience for the students which involves all the steps of building electronic systems such as the design, the simulation, the prototyping and the testing. 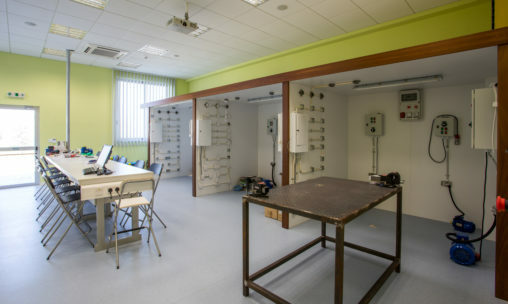 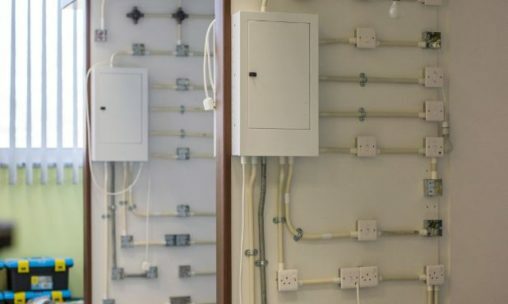 The Electrical Engineering Lab is intended to emulate a real domestic and/or industrial setting in which students can perform an electrical installation and have a unique hands-on experience in wiring, circuit boards, AC and DC motors, generators, renewable energy sources etc. 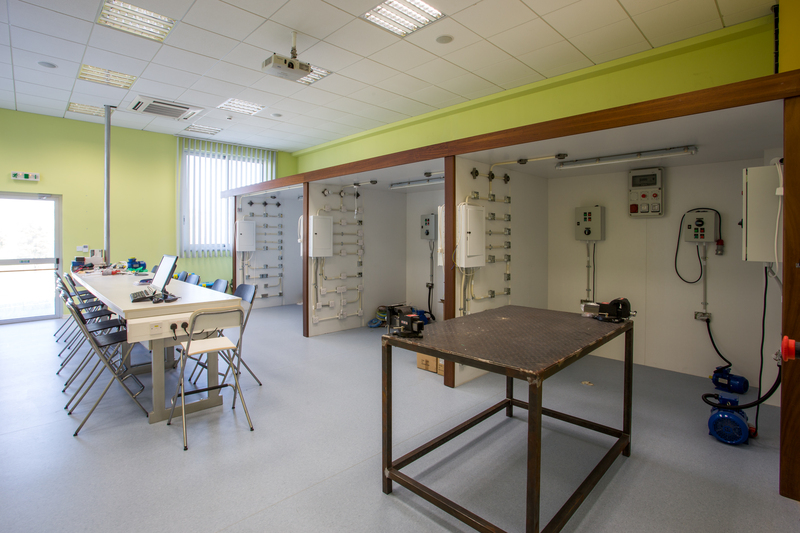 The lab is also equipped with Electromechanical Training Systems for practical work on Power Systems on topics such as Power Generation, Power Transmission and Power Consumption.